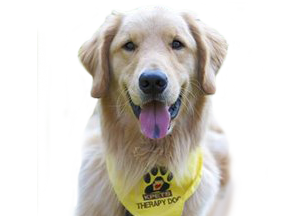 Animal-assisted therapy (also known as pet therapy) is one common option for improving participants’ mental – and physical – health. The therapy is popular among people with a wide range of conditions, and cancer patients are especially likely to benefit from the sessions. After knowing their poor prognosis factors, cancer patients often find themselves dealing with feelings of fear, anxiety and depression. As the patients develop a bond with their therapy animal (and its handler), they may experience these complications on a less frequent – or less intense – basis. Often, this is the result of patients focusing their energy on a positive experience (the pet interactions) rather than the negative aspects of their diagnosis. For advanced-stage cancer patients living in a hospice organization, animal-assisted therapy may help counteract feelings of isolation. Many patients become withdrawn or lethargic without regular interaction with loved ones; pet therapy sessions can help patients develop a bond with a familiar face. The therapy sessions often give patients something to look forward to on days that family or friends cannot stop by for a visit. In many cases, these benefits occur almost instantly. Many studies show improvements in patients’ overall mood and anxiety levels as soon as the therapy animal enters the room. While animal-assisted therapy is best known for its emotional health benefits, cancer patients can also derive physical benefits from the sessions. Interestingly, most of the physical benefits are linked to the patient’s improved psychological well being. Additionally, pet therapy participants typically have a lower perception of their physical pain. This can drastically improve their quality of life, as well as their overall impression of their care experience. The pain-relief benefits may also make patients less likely to request dependency-inducing pharmaceutical painkillers. Author bio: Faith Franz has spent nearly two years researching and writing for The Mesothelioma Center. As an advocate for alternative medicine, she encourages patients to explore all of the treatment options that could potentially save their life.